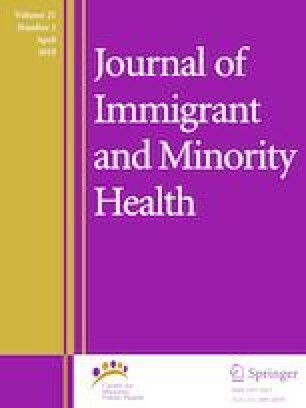 The premise of our study was to identify the 50 most frequently cited articles on the mental and behavioral health of immigrant and refugee populations in the USA using the Thomas Reuters’ WOS database. Articles were reviewed for inclusion by a panel comprised of two specialist physicians and a political scientist. Citations ranged from 69 to 520. Almost half of all articles (n = 23) focus on Hispanic populations. 32 articles employed a cross-sectional study design. Sample sizes ranged from 8,000,000 to 20. Over half of all (n = 30) articles were published between 2000 and 2012 in 22 journals, covering 38 research areas. The total number of institutional affiliations was 148, averaging at 3 per article. Our recommendations state: diversify sampling in terms of ethnic and racial backgrounds; develop a uniform instrument for immigrant and refugee mental health; and conduct comparative studies to examine the differences in the mental health among diverse communities. Faisal Khosa is the reciepient of the Vancouver Coastal Health - Healthcare Hero Award (2018); Canadian Radiological Foundation Leadership Scholarship (2017); Vancouver Coastal Health Leadership Award (2017) and American Roentgen Ray Society Scholarship (2013–2016). The authors declare that they have no conflict of interest. Agbafe V. Immigration and the 2016 election. Harvard Political Review. http://harvardpolitics.com/united-states/immigration-2016-election/ (2016). Accessed 1 Mar 2017. Alhamwi MK. Syrian Refugees Find Brazilian Backdoor to Europe. Newsweek: Opinion. http://www.newsweek.com/syrian-refugees-find-brazilian-backdoor-europe-446994 (2016). Accessed 1 Mar 2017. Brown A, Stepler R. Statistical Portrait of the Foreign-Born Population in the United States. Pew Research Center. http://www.pewhispanic.org/2016/04/19/statistical-portrait-of-the-foreign-born-population-in-the-united-states/ (2016). Accessed 1 Mar 2017. Davis J. U.S. struggles with goal of admitting 10,000 Syrians. The New York Times. Washington DC. United States of America: The New York Times. http://www.nytimes.com/2016/05/31/us/politics/as-us-admits-migrants-in-a-trickle-critics-urge-obama-to-pick-up-the-pace.html?_r=0 (2016). Accessed 29 Aug 2016. Davis J. U.S. to admit more central American refugees. The New York Times. Washington DC. United States of America. http://www.nytimes.com/2016/07/27/us/politics/obama-refugees-central-america.html (2016). Accessed 29 Aug 2016. Dolan RS, Hanna TN, Warraich GJ, Johnson J-O, Khosa F. The top 100 articles in the radiology of trauma: a bibliometric analysis. Emerg Radiol. 2015;22:667–75. http://www.ncbi.nlm.nih.gov/pubmed/27452312. El-Behairy N. Burden or brothers? Media representations of refugees in the Middle East. Border Criminologies. Oxford, United Kingdom: The Faculty of Law, University of Oxford. Border Criminologies Blog https://www.law.ox.ac.uk/research-subject-groups/centre-criminology/centreborder-criminologies/blog/2016/06/burden-or (2016). Accessed 29 Aug 2016. Hassan G, Kirmayer LJ, Mekki-Berrada A, Quosh C, Coutts A, Song S, Ventevogel P. Culture, context and the mental health and psychosocial wellbeing of syrians: a review for mental health and psychosocial support staff working with Syrians Affected by Armed Conflict. Geneva: UNHCR. http://www.unhcr.org/55f6b90f9.pdf (2015). Accessed 29 Aug 2016. Igielnik R. Where refugees to the U.S. come from. Pew Research Center. Washington DC. United States of America. http://www.pewresearch.org/fact-tank/2016/06/17/where-refugees-to-the-u-s-come-from/ (2016). Accessed 29 Aug 2016. Lopez M, Passel J, Rohal M. Modern immigration wave brings 59 million to U.S., driving population growth and change through 2065. Pew Research Center. Washington DC, Pakistan. http://www.pewhispanic.org/2015/09/28/modern-immigration-wave-brings-59-million-to-u-s-driving-population-growth-and-change-through-2065/ (2015). Accessed 29 Aug 2016. U.S. Census Bureau: U.S. Census Bureau QuickFacts. U.S. Census Bureau: https://www.census.gov/quickfacts/fact/table/US/PST045216 (2016). Accessed 25 Apr 2018. United Nations High Commissioner for Refugees: Global Trends: Forced Displacement in 2015. Geneva: United Nations High Commissioner for Refugees. http://www.unhcr.org/576408cd7.pdf (2016). Accessed 29 Aug 2016.